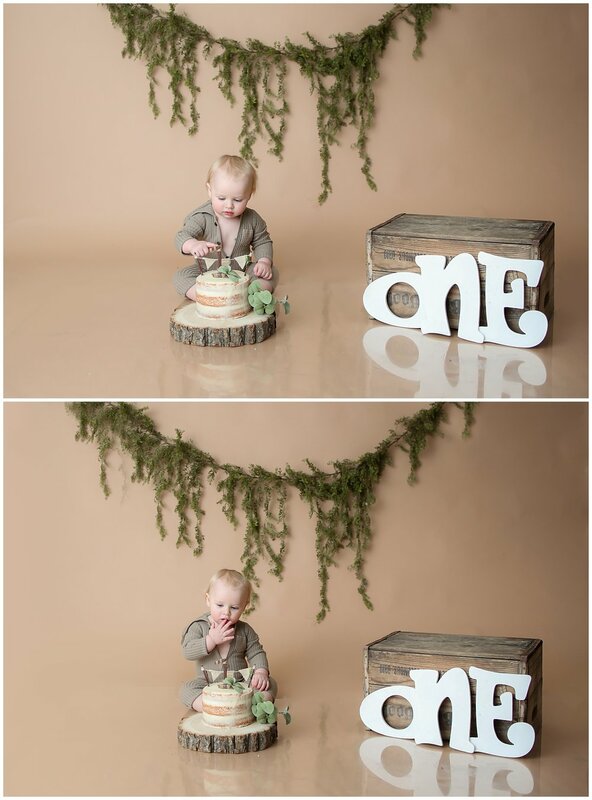 Natural Cake Smash Session:: Columbus Ohio Children's Photographer. I LOVE cake smash sessions!! They are such a fun way to celebrate the first year of your babies life. You can be so creative with your session, choosing any color, theme or style of cake! 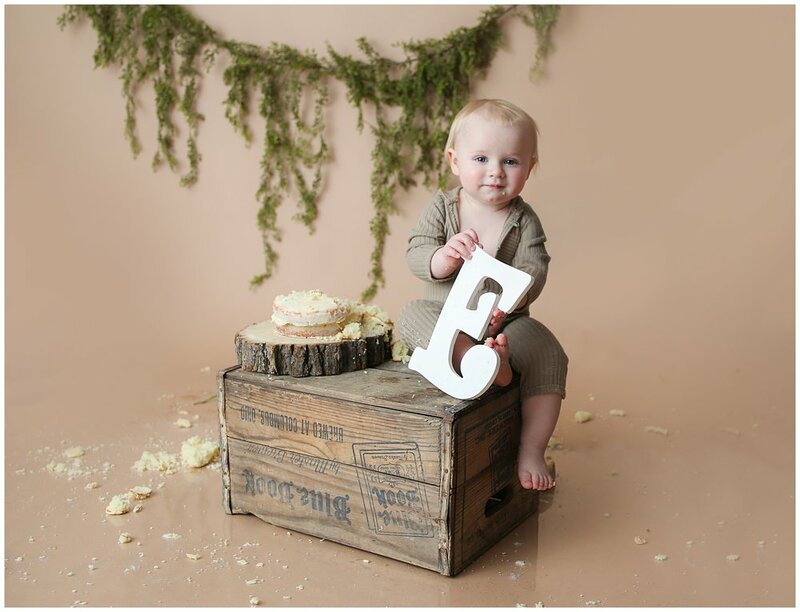 Emerson just had his cake smash session, and we decided to keep it pretty neutral! I had done my son, Conner’s, cake smash all natural, with a naked cake on cream. When I showed it to Emerson’s parents, they told me to go wild with creativity! So I added a few elements to E’s session that I wish I had with Conner’s. A few more natural wood props, some more green and the mocha colored paper, instead of cream. I LOVED IT. And Emerson came ready to smash his cake. His parents said he wasn’t overly into his birthday cake, so they weren’t expecting much. I will tell you, he DEMOLISHED his cake and shared some with daddy! His three tier cake was a pile of crumbs when he was finished, and we even had to stop him from “painting” my studio in butter cream! 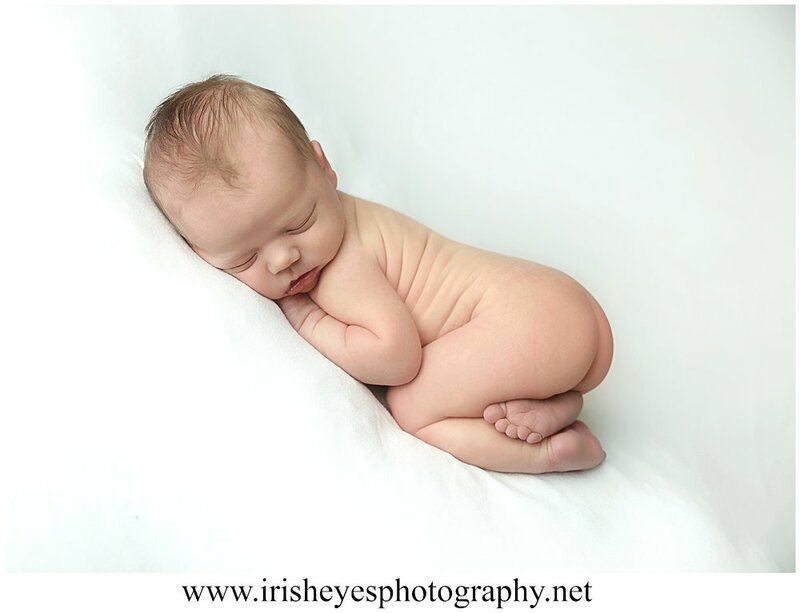 I will say, his outfit was a tad too small, and dad kept calling him Burt Reynolds the entire shoot! 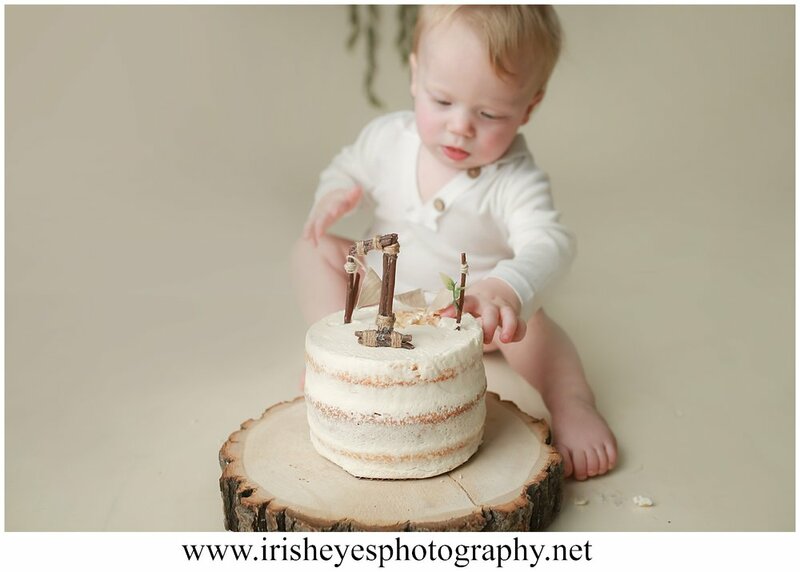 If you’re undecided on booking a cake smash, definitely check out these photos and contact us so we can help you setup your customized session! The more creative, the better! I’m secretly dying to do an 80’s themed cake smash, complete with rubix cube cake. Hint, hint.